Sea Machines’ Peter Holm, European director, will be in Copenhagen tomorrow to share the progress of the company’s partnership with A.P. Moller-Maersk and DanPilot to trial the first Artificial Intelligence (A.I. )-powered situational awareness system aboard a Maersk container ship during this week’s Danish Maritime Authority (DMA)’s e-Navigation Underway International Conference. While the presentation will primarily focus on the Maersk project, the speaking opportunity also gives Holm the chance to share the successes and trials from many of Sea Machines’ other “industry firsts.” These include the company’s demonstration of the first autonomous-command, remote-controlled fireboat, owned by TUCO Marine, and the recent operation of a workboat in Boston via a remote-command station located more than 1,500 miles away. Planning to attend? Request time to meet with Holm here. 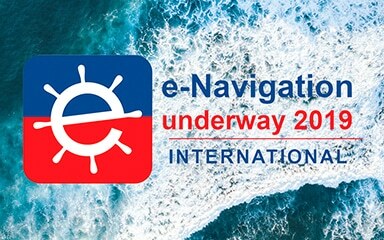 e-Navigation Underway International is a recurring event, scheduled this year from Feb. 6 through 9, 2019. The event brings together international experts from all over the world to discuss the implementation of e-navigation and new technologies.